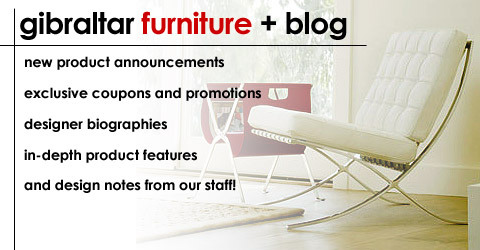 $1995 is the price for the Eames La Chaise at www.gibraltarfurniture.com “Gibraltar Furniture (800 416 3635) is furniture nirvana for wholesale classics”- Yahoo News! Charles and Ray Eames designed La Chaise in 1948 for a Museum of Modern Art contest. La Chaise is suitable for both sitting and lying on. Its organic shape was inspired by “Floating Figure”, a sculpture by Gaston Lachaise. DWR offers the same piece for $8,855.00. The main difference is that the official Vitra release comes with a certificate of authenticity and our reproduction does not. This edition is a world class imported product that will be a showcase addition to any collection!